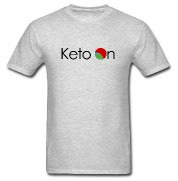 KetoFlu.com is all about lazy ketogenic diet food & snacks. Discover low-carb and high-fat recipes that are quick, cheap & easy. Because not all of us are chefs. 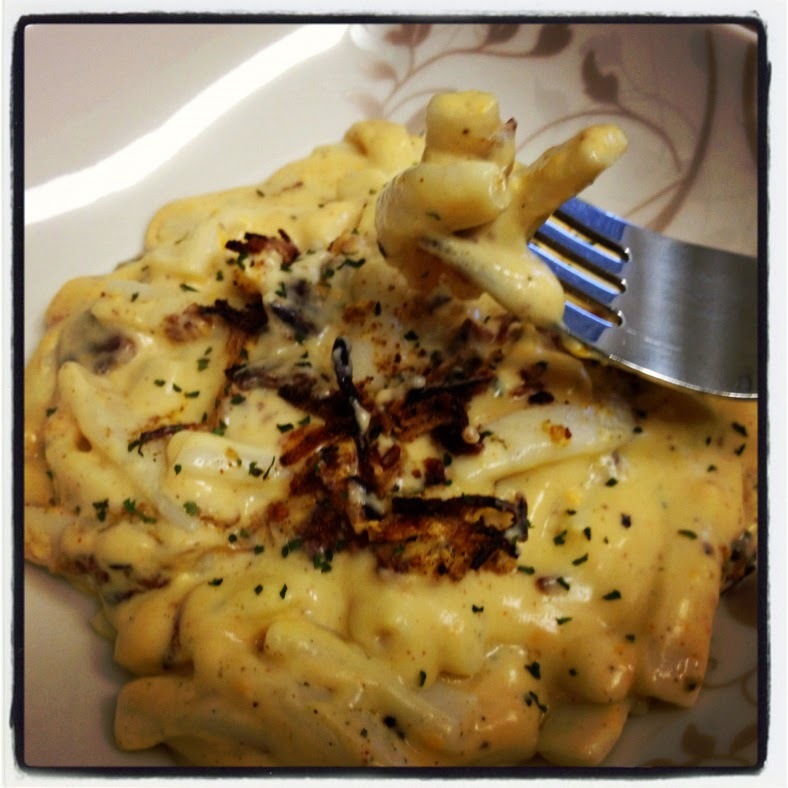 Shirataki Bacon Mac & Cheese via Dukantopia. Unfortunately, some of the world's most delicious comfort foods are packed full of carbs. Things like mac & cheese, mashed potatoes, pasta, and pizza are all guaranteed to kick you out of ketosis. And that's bad news when you're trying to stay on a strict ketogenic diet. But don't panic! There's actually a growing number of lower-carb versions of your favorite foods. And there's also some very creative (and sometimes questionable) ingredient substitutes that can transform carb-heavy meals into keto-friendly ones. Like what if I told you could make low-carb bread by swapping out wheat flour for almond flour? Well you can. Of course, I'm way too lazy to bake bread myself. But I can definitely point you in the right direction. The goal of this post isn't to reinvent the wheel by creating some ground-breaking new low-carb recipes. 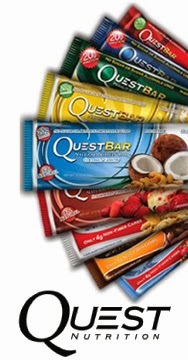 It's just to show you some new, popular, or proven low-carb alternatives so you can find what works for you. You could be eating keto-friendly bread, pasta, pizza, and other goodies by this time tomorrow. So let's do it. 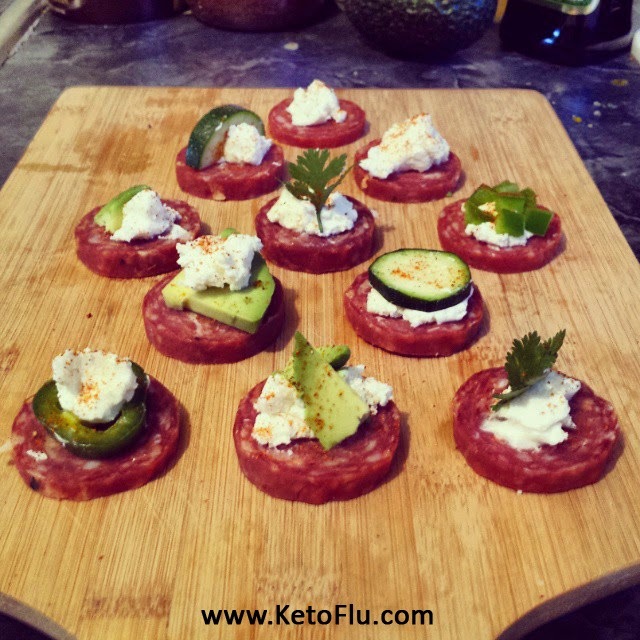 Salami & Goat Cheese Appetizers. Low Carb & Classy as Hell. Cilantro makes them look extra classy. I just want to start by saying that I'm proud as hell of these little guys. I haven't made a proper blog post in a while now. But I was struck by a bit of inspiration while careening through the grocery store this weekend. Of course, who wouldn't be inspired by the sight of a salami chub? Yes, it's literally called a chub. The salami and goat cheese were right near each other in the cooler. So maybe the word "inspiration" might be pushing it. But they're goddamn delicious, nonetheless. I really like the juxtaposition of low-class salami with high-class goat cheese. I figure they cancel each other out and make a medium-class appetizer. But let's be honest, the presentation value looks fantastic. Like 5-star Yelp review classy. Like "excuse me sir, a jacket is required at this country club" classy. You should try the Cookies & Cream or Cookie Dough flavors. Low-Carb Spicy Guacamole Tuna Salad Recipe - Nom Nom Nom! Copyright © 2017 - Matt Bradley. Powered by Blogger.